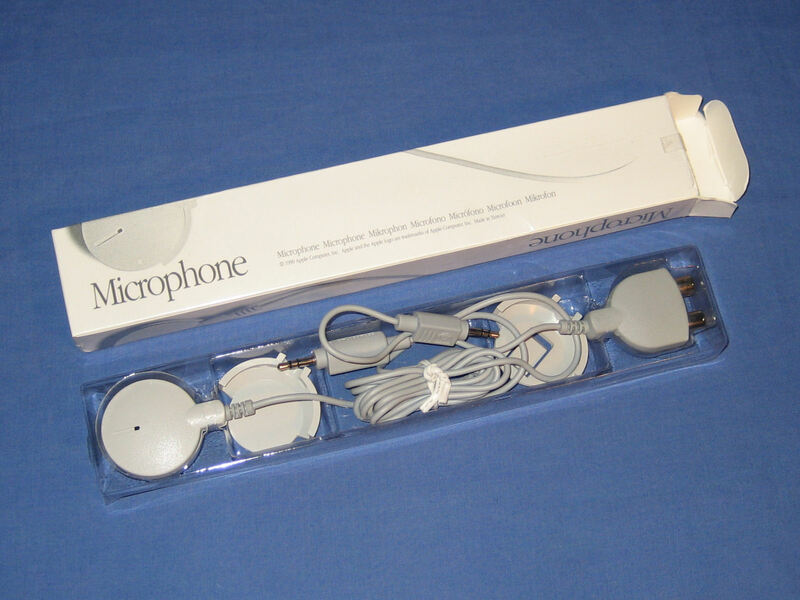 An Apple microphone in box which also includes an adhesive mount. 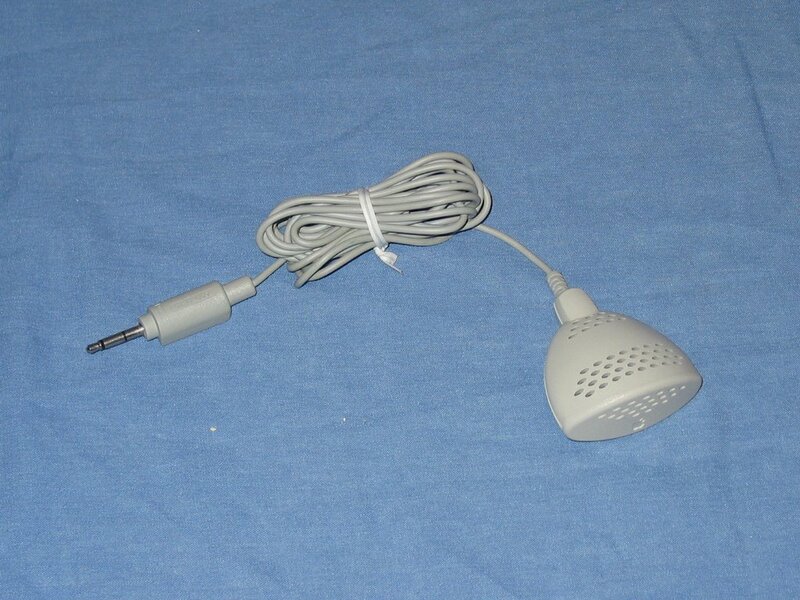 Another Apple microphone. This one includes a clip mount and an RCA adapter in addition to the adhesive mount. 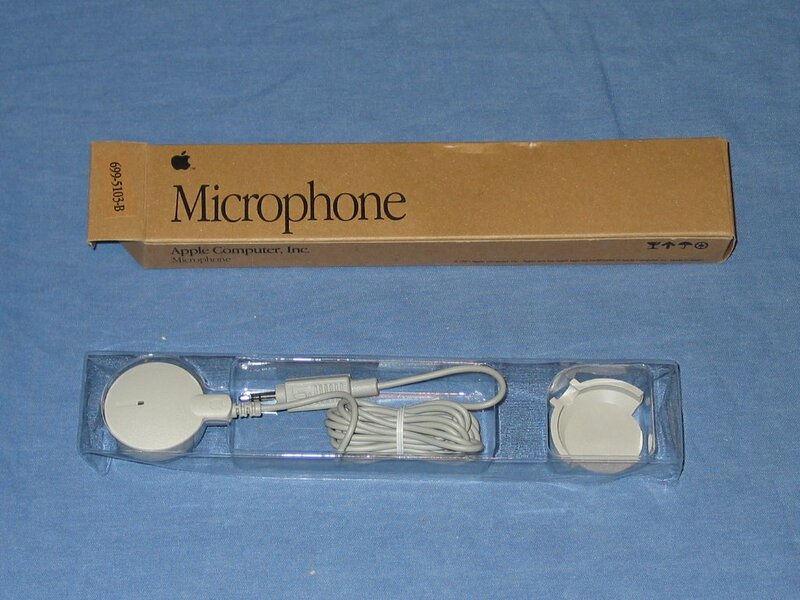 An Apple Plaintalk microphone that is designed to sit on the top of the display. PlainTalk is the collective name for several speech synthesis (MacInTalk) and speech recognition technologies, developed by Apple Computer.